Providing you the best range of packaged drinking water treatment plant, bottle water plant, ultra water purification plant, ultra filtration plant, ultrafiltration ro plant and ultrafiltration water purification plant with effective & timely delivery. Packaged Drinking Water Plant is Skid Mounted System and can be Installed at anywhere with water Inlet. Bottle Water Plant is Skid Mounted System and can be Installed at anywhere with water Inlet. 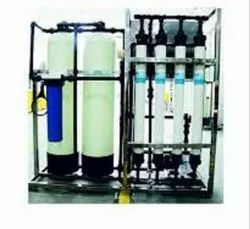 This system consists of Raw water Pump Is Take Water From Water Tank And Give to Sand Filter And Carbon Filter, Pressure Sand Filter Is Removes Turbidity, Activated Carbon Filter Removes Smell & Color, Antiscalant Dosing Worked For The Reverse Osmosis System So With The Help Of That Membranes Not Chock Up., Micron Cartage Filter Is Used For The Remove Heavy Particles Which Comes From The Filters. HP pump Is Provide Pressure To Membranes and R.O. Membranes are Remove Heavy TDS. Hardness, Alkalinity, Iron, Etc. with Pressure Vessels and sophisticated Instruments with Programmed Control Logic for its full proof Operation. System Include the Electrical and Instrument Control panel PLC Base on Skid. We Provide Stainless Steel Storage Tanks with Micron Cartage Filtration for Fine Polishing of semi-treated water after Mineral Adding. The Mineral rich treated water passes through the UltraViolet System to the Ozonation Re-Circulation tank. The Tanks are with its Stainless Steel pumps and Level Indicator and Controller. 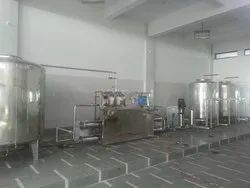 Leveraging upon our rich industry experience, we are offering Ultra Water Purification Plant The offered treatment plant is developed using high grade material and leading technology in compliance with the international quality norms. Additionally, the offered treatment plant is acclaimed for its long functional life. Our customers can easily avail this treatment plant in numerous specifications as per their needs. Leveraging upon our rich industry experience, we are offeringUltra Filtration PlantThe offered treatment plant is developed using high grade material and leading technology in compliance with the international quality norms. Additionally, the offered treatment plant is acclaimed for its long functional life. Our customers can easily avail this treatment plant in numerous specifications as per their needs. Leveraging upon our rich industry experience, we are offering Ultrafiltration RO Plant. The offered treatment plant is developed using high grade material and leading technology in compliance with the international quality norms. Additionally, the offered treatment plant is acclaimed for its long functional life. 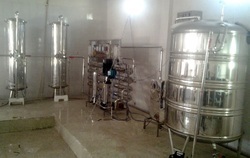 Our customers can easily avail this treatment plant in numerous specifications as per their needs. 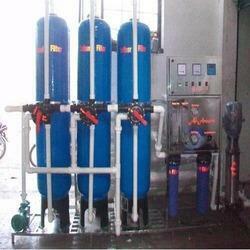 Leveraging upon our rich industry experience, we are offering Ultrafiltration Water Purification PlantThe offered treatment plant is developed using high grade material and leading technology in compliance with the international quality norms. Additionally, the offered treatment plant is acclaimed for its long functional life. 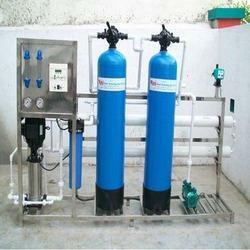 Our customers can easily avail this treatment plant in numerous specifications as per their needs. Leveraging upon our rich industry experience, we are offering Ultrafiltration Water Treatment Plant The offered treatment plant is developed using high grade material and leading technology in compliance with the international quality norms. Additionally, the offered treatment plant is acclaimed for its long functional life. Our customers can easily avail this treatment plant in numerous specifications as per their needs. To meet the precise requirements of our clients, we are providing a wide assortment of Drinking Water Purification Plant that can be installed at anywhere with filtered water inlet. The offered purification plant is developed using high grade material and leading technology in compliance with the international quality norms. Our customers can easily avail this purification plant in numerous specifications as per their needs. Packaged Drinking Water Plant Plant is Skid Mounted System and can be Installed at anywhere with water Inlet. 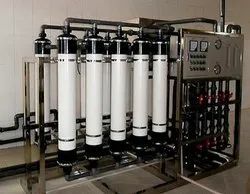 This system consists of Raw water Pump Is Take Water From Water Tank And Give to Sand Filter And Carbon Filter, Pressure Sand Filter Is Removes Turbidity, Activated Carbon Filter Removes Smell & Color, Antiscalant Dosing Worked For The Reverse Osmosis System So With The Help Of That Membranes Not Chock Up., Micron Cartage Filter Is Used For The Remove Heavy Particles Which Comes From The Filters., HP pump Is Provide Pressure To Membranes and R . O . Membranes Is Remove Heavy TDS. Hardness, Alkalinity, Iron, Etc. with Pressure Vessels and sophisticated Instruments with Programmed Control Logic for its full proof Operation. System Include the Electrical and Instrument Control panel PLC Base on Skid.